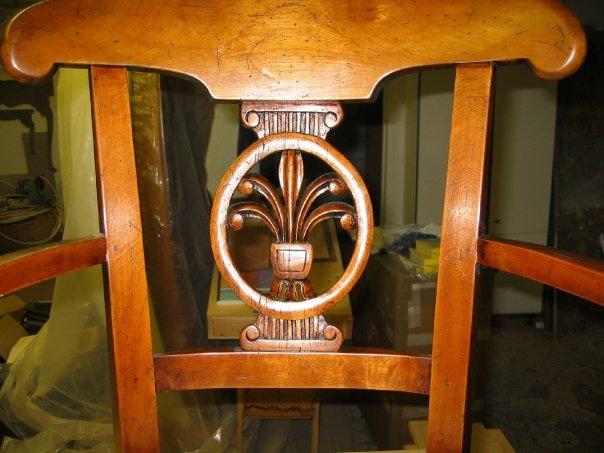 Repairing furniture correctly is an art. 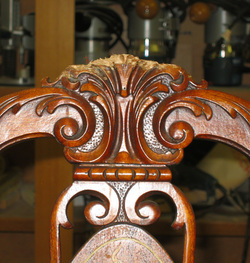 Correctly executed, a nice piece can be restored. Done incorrectly, it is often irreversible. 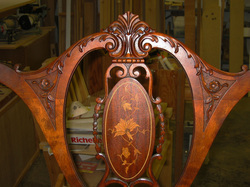 I do a lot of it, and enjoy the challenge that each piece brings. 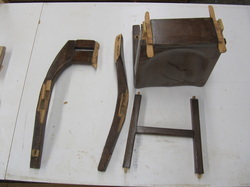 Chair in need of repair. 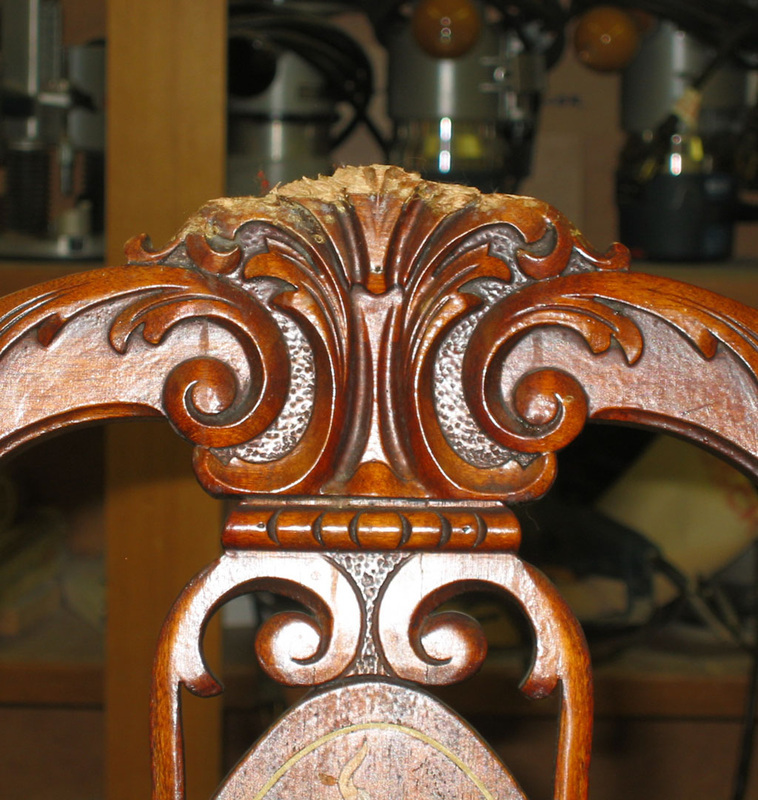 Crest rail of antique settee after being chewed by dog. This is sometimes the condition of furniture brought to my shop for repair. 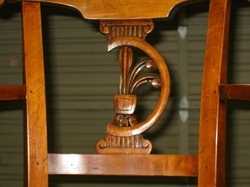 This particular project was one of the dining chairs I've repaired from Timberline Lodge, Oregon. It looks like it was in a John Wayne movie saloon fight! Much of the wood was missing in this chair, but now the chair has been totally restored and is happily back is service.